I was lucky enough to be invited down to the Interlight Christmas Special to play some records alongside Nibbers, Heidi Ice, Double O, Mantra, Panka, DJ Virus & Thumbzo. With MC Major Ranks & MC Raptor hosting the whole affair. It was ram out by the end, the most rammed I’ve ever seen the place with lots of recognisable faces & a fair few new ones too. 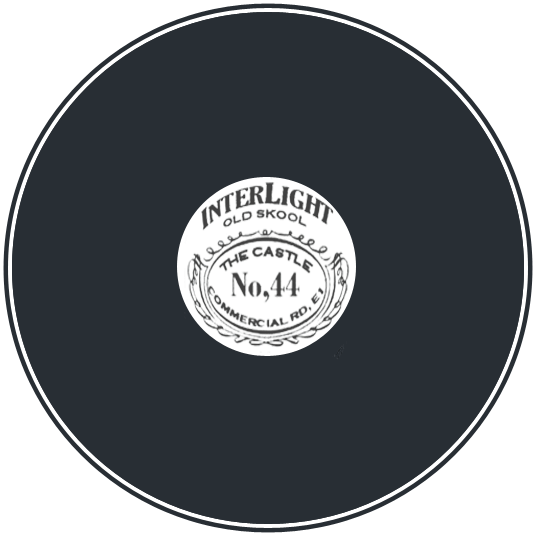 I’ve met so many good people that have come to Interlight – DJs, Producers & punters – I love the Castle, such a wicked crowd & the musics always firing. I’ve got a memory of Mantra & Panka playing a wicked old school garage set & then Dubz firing off some 88 – 92 classics around 3am & the place going mental – just cause that’s how it went. From memory, this is a slightly cut down version of what I played on the night.